I’m excited to report that I have been able to maintain my weight loss for the past week. You might be wondering why I’m excited about that when I still have so much more weight to lose. On the Omni-Drops program, you need to take a few weeks off (3 weeks during round 1) for your Hypothalamus to reset itself to your new weight. Also, if you happen stay on the drops for longer than 45 days, there is a chance your body could become immune to them. So, it’s important to take a break and let your body catch up to everything. My husband finished up his first round of phase 2 also – his stats – he lost 27 pounds in 21 days. I’m very impressed and a bit jealous as men normally lose more per day, on average, than a woman does. Although I’m really happy for him. He’s in the military and it’s important he maintains a healthy weight. Over the past few years he’s been struggling with his back and other body aches and pains that has made him put on some extra pounds. He’ll be leaving the military soon (after 33 years) and we both want to make sure he steps off with a healthy weight. Okay – back to the Omni-Drops diet – what is different about phase 2 and phase 3? On phase 3 you are no longer taking the Omni-Drops. You also get to double your amount of protein and vegetable intake. You need to stop eating oranges and your crackers. Instead, you can add back in healthy oils, lots more vegetables and even more fruit. All must be low in sugar or carbs and you need to continue to avoid eating any carbs and sugar, overall – except the natural ones in your fruit and vegetables. Over the next three weeks, I’ll be trying to recreate some of my favorite meals but low-carbing them. 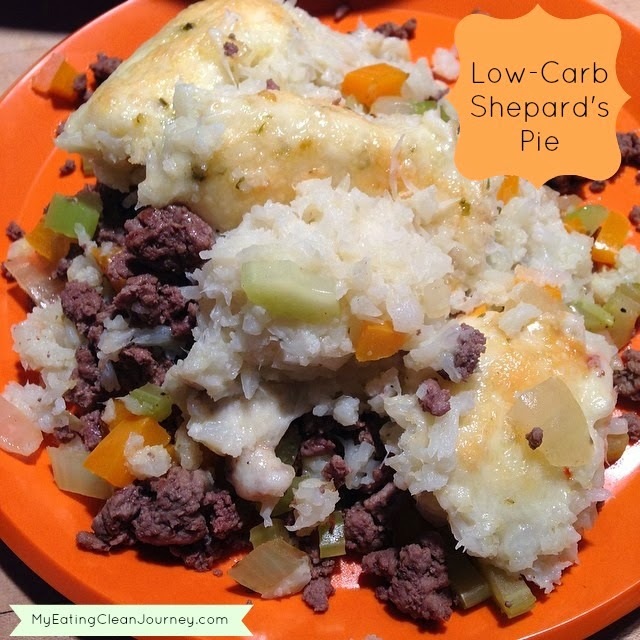 Today I’ll share with you my version of my all time favorite meal, Shepard’s Pie. I normally make it with hamburg, corn and mashed potatoes. I set out to find something that would give me the same textures and similar tastes. I think I came up with something very close. where they lose their texture.